Professor Prieto earned his B.A. in Sociology from Whittier College in 2005, and his M.A. and Ph.D. in Sociology from the University of California, Santa Barbara in 2013. 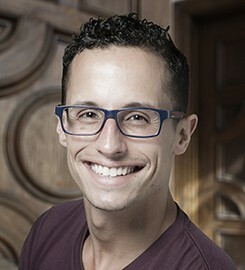 Greg Prieto joined the Sociology faculty at the University of San Diego in Fall 2013. He teaches primarily in the Law, Crime & Justice concentration. Professor Prieto's research interests lie at the intersection of race, racism, and legal violence. His primary focuses are Mexican immigration, police and Border Patrol, and social movements. Drawing on years of community work with various organizations in Santa Barbara, Professor Prieto is committed to linking academic inquiry to community engagement. He seeks to bring the voices and experiences of those under study into the classroom and to bring students into the community, shrinking the gap between research and the subjects from whom that research is derived. He believes that student diversity is key to enriching undergraduate education. He teaches Introduction to Sociology, Quantitative Methods, Sexualities, Criminalizing Immigration, and Law & Society. Submit changes to Greg Prieto's profile.